Hi guys! 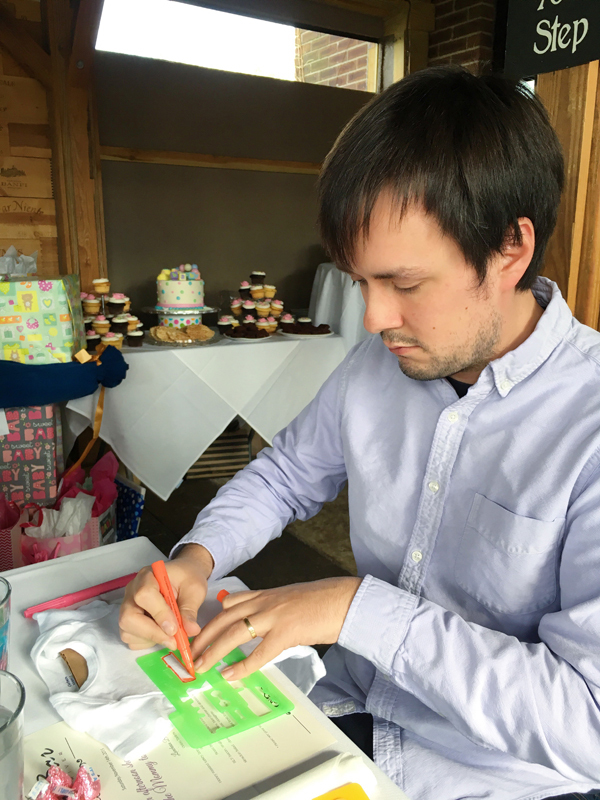 On Saturday we had our baby shower with Andy’s family, and it was really great. We actually had a pretty amazing weekend all the way around, which was much, much-needed after last week was one of those too busy, too stressful, too little sleep, too much to do, too sore, will this week ever be over, kind of weeks. 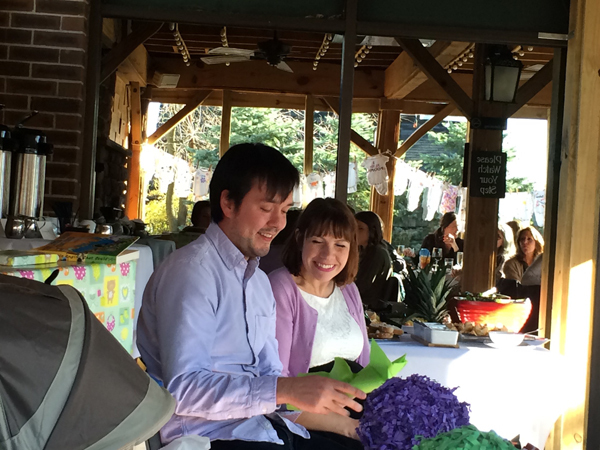 But our shower ended up being a lot of fun, and Andy’s aunts did a fantastic job putting everything together. 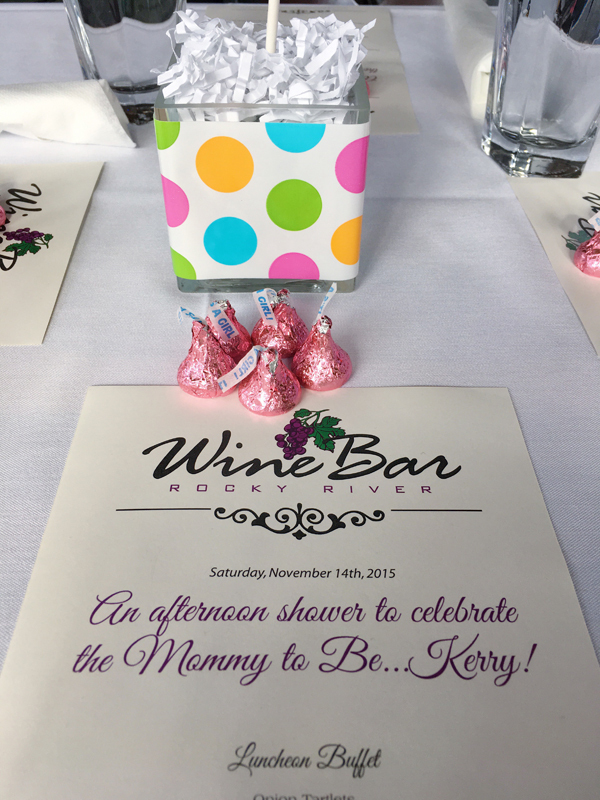 The Rocky River Wine Bar was such a beautiful location (and yummy!). We had a great time seeing family, especially Andy’s brother and his girlfriend who flew in from NY and stayed with us for the weekend. On Saturday after the shower, the four of us decided to head downtown, where we walked around a little bit, visited the casino, and had a phenomenal dinner at Butcher and the Brewer, one of our absolute favorites (getting a table is annoying but so worth it!). On Sunday afternoon Andy and I were able to hang out with our friends from California who were in town for their own baby shower because they’re expecting a baby the exact same week as us! 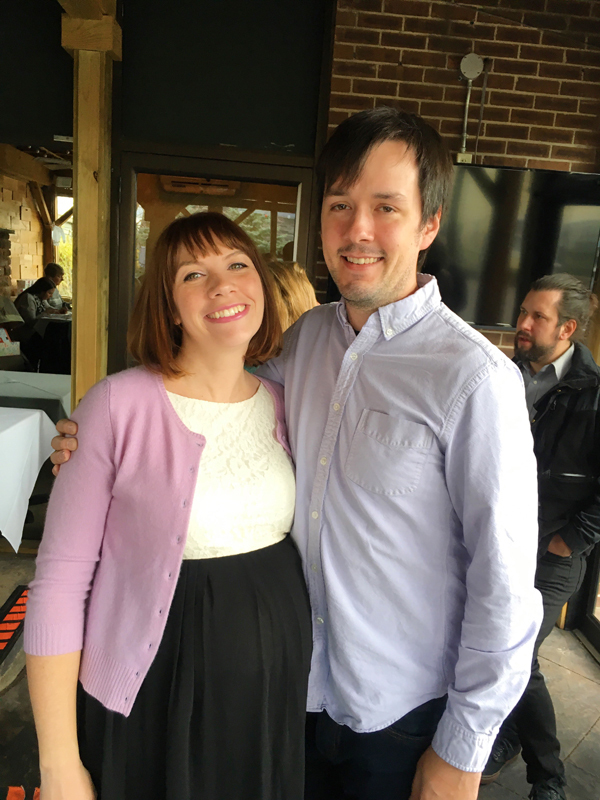 It was so much fun to compare bumps … and commiserate over all those aches and pains that only another pregnant girl can truly appreciate! 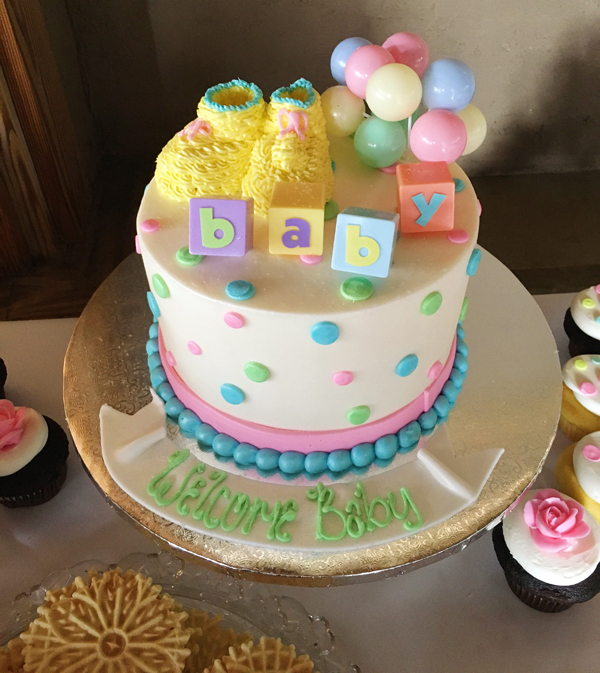 How adorable is this polka dot cake from Michael Angelo’s Bakery?! WEEK: 33 / only 7 weeks or 47 days to go! Baby is the size of a pineapple! A giant, pokey pineapple with boney elbows. We had an ultrasound last week, and baby is doing really well. She’s currently 4 pounds, 4 ounces, which is right on track. Unfortunately she was not interested in getting her picture taken, so we didn’t get to see much of her face. FEELING: Grateful. 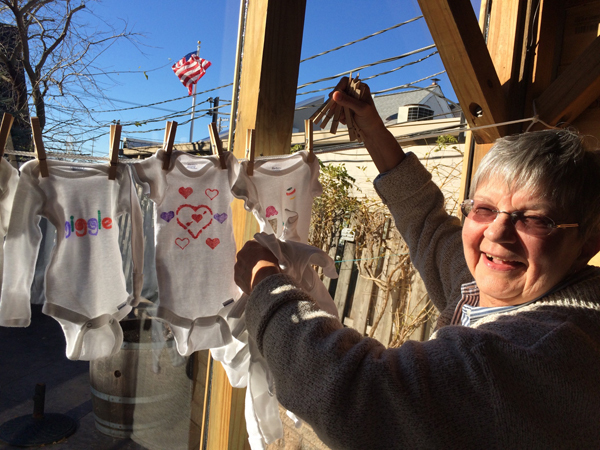 We are so thankful for all the ladies who spent so much time and energy to throw us a beautiful baby shower, and everyone else who took time out of their day to hang out with us and give us thoughtful, generous gifts. We just can’t thank everyone enough and we’re so grateful for everything!! EATING: I ate SO MUCH this weekend I might not need to eat all week! Between a family dinner at DC Pasta in Strongsville on Friday night (totally worth the drive! 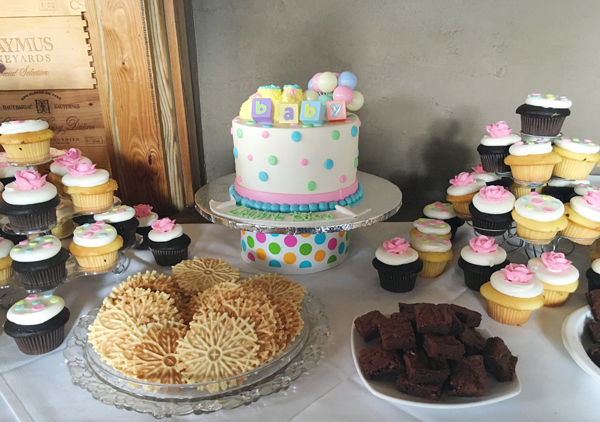 ), all those cupcakes at the shower on Saturday followed by dinner at Butcher and the Brewer, then brunch at XYZ Tavern on Sunday… it was pretty much nonstop eating for days… and, well, I am NOT complaining! CRAVING: A nice quiet week! There isn’t much on our calendar this week, so I plan on spending as much time propped up on the couch as possible! And of course enjoying this amazing weather… 60+ degrees in mid-November??? I’ll take it! WEARING: I’m at the point where I’m not buying any new clothes until after baby… Well, except I pretty much want everything on this new mom gift list from Lay Baby Lay (that robe is so good). MISSING: Andy’s brother and his girlfriend, already! I wish we were able to see them more often. LOVING: Progress! The walls in the nursery are being painted today. Things are moving along at the old house. It’s nice to feel like we’re finally moving forward instead of continuing to be in an endless holding pattern like we’ve been in for the last few months. Maybe we’ll even be living in one house, with a finished nursery, before the baby comes! Well. Maybe. We’ll see.